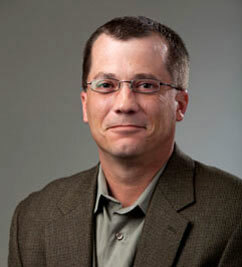 Craig received his doctorate at Arizona State University in 2002 and is an Associate Professor of Educational Psychology in the APA-accredited School Psychology Program at the University of Wisconsin – Madison. He recently finished serving as the Principal Investigator, Project Director, and author on a $1.3 million Enhanced Assessment Grant from the US Department of Education to develop the Alternate ACCESS for ELLs http://alternateaccess.wceruw.org/, which is an English language proficiency (ELP) measure designed for use with ELLs with significant disabilities. This ELP measure (Albers, 2011) was groundbreaking research as it was the first measure that was developed for this population of students. Currently, Craig is the Principal Investigator and Project Director on a 4-year, $1.6 million IES grant that is examining universal screening and progress monitoring procedures for ELL students within RTI models.